Zombies Lab Door Cover will give your door the look of a zombie outbreak for Halloween. Plastic zombie themed door decoration is safe for outdoor displays. Hang with tape or sticky tack, sold separately. 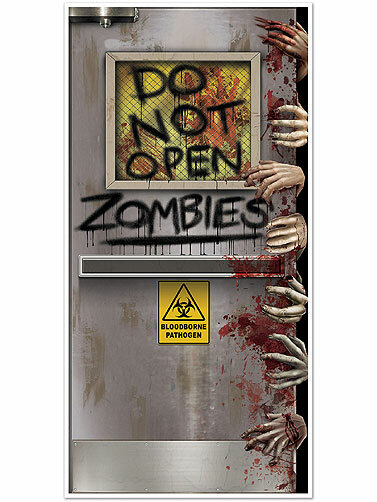 Zombies Lab Door Cover measures 60"H x 30"W (5 ft x 2 1/2 ft).